You know, I LOOOOVE personalization! I was thrilled to come across Custom Chocolate Mints (HERE) from Print Candies (HERE). How neat to make my very own treat for the family to enjoy. Print candies are coated chocolate mints that have a larger imprint area than the leading brand of chocolate pieces. Therefore, you have a larger area to customize with your personalized logo or message. These are a sweet addition to any event. In addition to printing messages on the candy coated chocolate mints, they can also print your custom logo on each piece. For each order, you can choose whether you would like a personalized message, your custom logo or a combination of both printed on the candy coated chocolate mints. You have many packaging options to choose from; including a variety of jars, bags, and containers. You can also buy your custom printed candies in bulk. Custom candies are available in white, pink, lavender, black blue, red, orange, green, yellow, dark blue. Guess what I chose?! My PINK custom chocolate mints came in three designs (mixed in each bag). I had adorable little images of Little Dude and Little Diva with sporting their face painting from Walt Disney World. The kids were tickled to see their images on the little pink candies. The third design read “Running Diva Mom”. Appropriate, eh? Print Candies now also offers sugar-free custom mints (wintergreen or buttermint). The candies were adorable and I thought they tasted great (I personally really like mint). I shared some with the grandmothers, too. Of course, they thought they were adorable with the kids’ images on them. My kids didn’t like them because they said they were “too spicy”. My kids only like chocolate and fruit flavored candies (not mint). I would also like to see milk and dark chocolate candies as well as filled with nuts or peanut butter. I enjoyed the sweet, personalized treat. Seeing my kids faces on them made them that much sweeter! Custom Print Candies are great for the upcoming Halloween trick-or-treating for your favorite trick-or-treaters. They are also perfect for Weddings, Baby Showers, Birthdays, Anniversaries, and Corporate Events. Enter now though Thursday, October 7th. SnorgTees (HERE) was established in 2004 when a group of friends decided to start their own business. Their website is filled with tons of hilarious t-shirt designs. Most of the designs are created by their employees. Several of their shirts are also created by their clever customers. So, feel free to submit your own ideas. Have a hilarious running slogan that you’d like to have plastered on your shirt at your next race?! Submit your ideas! SnorgTees sells tees for men, women and children. I chose to sport the “Will Work for Shoes Tee”. It’s so fun and so “me”. This is kind of ironic, since I have been having major foot problems recently from my heels at work. I actually chose to wear flip-flops and tennis shoes all week to work in preparation for my marathon this weekend! It’s amazing how many folks notice that I wasn’t walking on my tippy toes all day! Maybe I should have worn this tee to work and REALLY confused them?! I typically wear a size medium, unless the top is tight in the upper arms and chest. This top fit comfortable the first time, but shrunk a bit in the dryer. I do wish I had gone up a size. But, I am wearing it again tonight and it's comfy and stretched out a bit again. The length was fine and is still was fine after washing and drying. Check out the site ... what makes YOU laugh out loud?!? Carolina Pad (HERE) sells all sorts of adorable schools supplies for boys, girls and teens. They also have a ton of great items for those of us that are considered “adults” but are “kids at heart” and love to have their own stash of school supplies and journals. Carolina Pad has an AWESOME Dreamsicle collection (HERE). The collection was designed by JACK!E (HERE) to benefit Girls on the Run International (HERE). Several of you know that I LOVE Girls on the Run (GOTR) and everything it stands for. I actually participated as a Sole Mate for GOTR at the Madison Marathon this past May. I was so excited that Carolina Pad was offering this adorable collection, benefiting such a wonderful cause. The collection can be purchased at Walmart, Office Max and CVS. I love the adorable supplies that I received. They are fun, bright and colorful and so very girly. Little Diva loves writing in journals and doodling. These products suited both of us perfectly. I love writing my goals and lists down regularly. I’m a huge list-maker. Who doesn’t love a beautiful composition book or journal to scribble their thoughts? I will also be using the binder and tab-dividers to organize my Running Diva Mom life. The tabbed dividers are keeping me organized between my blog communications and contacts, product reviews and miscellaneous odds and ends. I love that the collection supports the GOTR organization that I love soooo much! There are even quotes from the "foundress", Molly Barker!! Girls on the Run (HERE) inspires 3rd through 8th grade girls to stay true to themselves and live free from societal stereotypes. The 12 week after-school curriculum innovatively weaves training for a 5k run with lessons that empower girls to celebrate their bodies, honor their voices and embrace their gifts. Girls on the Run has more than 150 councils across North America, serving more than 50,000 girls annually. Commerce with a Conscience, a partnership between Carolina Pad and JACK!E, combines the everyday products from Studio C and the extraordinary design from Jackie McFee to create a communication platform for non-profit organizations. The first Commerce with a Conscience collection – the Kendall Kollection – was launched in 2008 in support of the Leukemia & Lymphoma Society. Last Long Run ... I'm Ready! Yesterday was my last long(ish) run before my 26.2 mile journey at Lakefront Marathon next Sunday. I had ten miles my schedule. I headed out the door in pink shorts, hot pink CEP Socks (HERE), a long sleeve top from iRUNLIKEAGIRL (HERE) and pink winter gloves ... and NO BONDI BAND (gasp!)! I opted for a hot pink winter hat to keep me warm. I was definitely advertising that I was a running chick yesterday!! It was chilly and sunny when I headed out at 9 am for ten miles. I looped around in my neighborhood and on some pedestrian paths. I returned home to my mailbox and had finished ten miles. I mentioned earlier. I have been marathon training all year long. Happy to have this last long run behind me. I finished a marathon over Memorial Day weekend. And then started a whole other training cycle again in June. I'm really to run for fun again and have some fun races on my schedule this fall. I am soooo ready for this marathon. I am so excited to see what I can do in ideal weather this time and on a flat course. I have been having some problems with my feet. I think it stems from the high heels and pointy shoes I wear to work. It's causing major problems (bunions) and aches and pains in the top of my feet. I am going to be taking great care of my feet over the next week. And, hopefully that will convince me to take care of them forever. I also have been having some strang groin pain. This started after my last 20 miler. I am not sure if I strained something as I pushed through those last couple of miles, making my legs move under me. Sometimes this excrusiating pain will strike for no reason. It was terrible when Little Dude and I were out on a walk last week. I even had to find a bench to sit on for a bit. I hope that this doesn't decide to show up next Sunday. I used my Yurbuds again yesterday. It was chilly and a little windy. They held up perfectly for my ten miler. Never moved, sounded great, never fell out. Nothing. I found myself adjusting my pace and my stride with each song. I'm enjoying running with music again, when I want to. and, I thank Yurbuds for that opportunity. Don't forget to check out my recent review of Yurbuds and enter my giveaway for a pair of Yurbuds (HERE)!! Little Dude and I opened Target at 8 am on Friday morning. We picked up we needed and I remembered I had a coupon for a $3 latte. Sweet. I ordered my ___ (insert complicated drink name here) and waited. I asked what I owed and she said, "Oh, I accidentally ringed your coupon up as a free drink. Consider it a Friday treat." Sweet. Free Starbuck's! Little Dude was so into my whipped cream, that they gave him a Starbuck's cuncoction of his own!! Saturday, I headed through a different Starbuck's drive-thru with the kiddos and tried to use a gift card I had. I ordered a Pumpkin Spice Latte and tried to use my gift card. Puzzled, she said, "Our gift card system isn't working this afternoon. Consider it a treat.". I couldn't believe it. BTW ... free Starbuck's tastes even better than regular Starbuck's! I was at the mall with Little Dude and Little Diva on Saturday. Little Diva had been talking about getting her ears pierced for her birthday this winner, or maybe earlier. We walked past Claire's and she asked if she could get them done. I said sure, assuming she'd be hesitant and backout. After Grandma said that she'd treat for the special occassion, we both were excited about doing it! Little Diva picked out her earrings and the second piercer came over so that they could do them at the same time. It takes three nurses and myself to hold Little Diva down during shots at the doctor's office. So, I was fearing the worse. She cried a little but sat very still, as I sat in front of her and talked to her straight into her eyes. I held her hands. And, they pierced both ears. She took a huge breath and said it wasn't so bad. Tears wiped away and a very, very proud Little Diva. On Sunday, the four of us took a two hour trek to Gays Mills, Wisconsin (HERE). We had this visit on our calendar for a month or so. And, it happened to fall on the weekend of their Apple Festival (HERE). Gays Mills is the Apple Capital of Wisconsin. It's a nice scenic drive with hills and valleys and the fall colors are pretty amazing right now. It was crazy busy when we arrived and there were cars and people everywhere. We headed up the hill to to orchards and purchased all sorts of amazing apple and pumpkin items: honeycrips apples, McIntosh apples, apple butter, apple pizza, apple pie, turtle candies, and mini pumpkins. It was fun picking up something at most of the orchards and bakeries. There were petting zoos, little play areas, free samples, bakeries, antique shops and we even did part of a free corn maze. We headed downtown and looked at the craft show and put the kids on a few rides at the carnival. The carnival was small, but was a nice way to make the kids happy at the end of the day. I think it was worth the two hour drive. And, the kids had fun. We'll definitely be back in the future. I was recently given the opportunity to review various protein powders from America's Nutrition. You can read all about my fabulous experience HERE. Please visit America's Nutrition online HERE and start shopping. There were 83 entries in my recent giveaway. 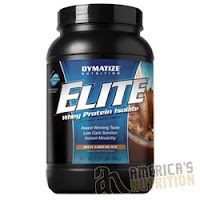 One winner was chose at random to receive an America's Nutrition Prize Pack of Protein Samples. Congratulations, Oz Runner!!! Please email me at ( runningdivamom at charter dot net ) with your name, email and mailing address. And, I will get you your prize! My Baby Clothes Boutique $25 Gift Certificate Winner .. I was recently given the opportunity to review Watermelon Girl Neva Bows (HERE), made by Hedgehogs and Hairbows from My Baby Clothes Boutique. You can read all about my fabulous experience HERE. Please visit My baby Clothes Boutique online HERE and start shopping. There were 35 entries in my recent giveaway. One winner was chose at random to receive a $25 gift certificate to the My Baby Clothes Boutique. I was recently given the opportunity to review Tie T-Shirt from Chalkboard Tees. You can read all about my fabulous experience HERE. Please visit Chalkboard Tees online HERE and start shopping. There were 36 entries in my recent giveaway. One winner was chose at random. Congratulations, Kym!!! Please email me at ( runningdivamom at charter dot net ) with your name, email and mailing address. And, I will get you your prize! Little Diva and I were recently given the opportunity to review a few bands from BIC Bands. You can read all about my fabulous experience HERE. Please visit BIC Bands online HERE and start shopping. There were 76 entries in my recent giveaway. One winner was chose at random. Congratulations, Zaneta!!! Please email me at ( runningdivamom at charter dot net ) with your name, email and mailing address. And, I will get you your prize! 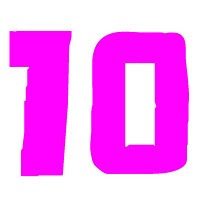 One last reminder for the 47 of you that signed up for my 10/10/10 10K Virtual Race (HERE). I'm so excited that so many of you wanted to participate and get your chance to win some prizes! Oh yeah, it's free! Several of you have asked questions about the rules. No rules. If you're running a race soon that is 10K ... or longer ... it counts (just devote 6.2 miles of the race to the bloggy world!). If you run it before the dates I specify, you're cool. If you want to split it up into two 5Ks, that's fine, however you can fit it in. Are dudes welcome to participate ... of course. No rules here. Just fun. And prizes. Run on the pavement, run on the "dreadmill", around the track, backwards. I encourage you to get your kids involved, too! There is still time to sign up ... just comment on the original post. Email me [ runningdivamom at charter dot net ] with a link to your race report, photos and finishing time by midnight on Sunday, October 17. Race reports and prizes will be announced on October 18. Now, go ahead! Simply, LEAVE A COMMENT (HERE) to let me know you’re committed. Feel free to repost about this virtual race on your own blog. Thank you for spreading the word! The Little Red Car. In Action. Earlier this week, it was just me and Little Dude. I wanted to fit in 4-6 miles with Little Dude while Little Diva was at school. With our treadmill broken, I could only head outside. It was cool and chilly and a dreary day. I was productive all morning, cleaning the house with Little Dude. Little Dude and I finally headed outside for our run around 2:00 and the sun came out. Perfect. But, we were both overdressed for the warm (and surprisingly humid) weather. The sun was shining down on us as we started our run with the Little Red Car. The plan was to get my run in and end at Little Diva's school and to play at the playground. before we even headed out!! Here is the Little Red Car. In action. We stopped at the pond to look for ducks. No ducks today. But, we did see a crane. flying along side us for about 1/10 mile. We ran about three miles and approached the bike path near Little Diva's school. Little Dude was very quiet and his head was starting to bob again. He was out. Again. I ended my run there. Three miles done. I took him out and carried him over to a bench at the school. We snuggled for twenty minutes until Little Diva was done with class. We sweaty. Him snoring. It was awesome. But not before I took this sweet video. Developed by a marathoner and a triathlete, Yurbuds (HERE), have been designed for all athletes … even endurance athletes. Of cours, I chose to review the Komen Pink Yurbuds (HERE). $10 of every purchase is donated to the Susan G Komen for the Cure of St. Louis. Retail for $29.99. The Yurbuds are an adorable bright pink, the earphones and cord are both white. The Yurbuds also came in their own carrying case, which is handy for putting in your gym bag. They are also available in Blue Yurbuds (HERE) for $29.99 and Ironman Red Yurbuds (HERE) for $49.99. To get make sure that I got the right fit, I was asked to send them a photo of my profile and my ear alongside a quarter. You can also upload your photo to the Yurbuds website when ordering. You can order your Yurbuds online now or visit a local retailer. I saw them at my local Fleet Feet in Madison just last week. The Yurbuds are guaranteed not to fall out. They offer an extreme-fit 100% money back guarantee. How many of you have struggled with this?!? They are even guaranteed to work in the rain! I am a sweater and have never been able to run with music or headphones. After dealing with headphones falling out constantly, I gave up on running with music a few years ago. It just wasn’t worth it to me to keep messing with the headphones. I also tried the wrap-around headphones, but those just rubbed and irritated my ears. And, they still shifted. I was intrigued by Yurbuds. Wanting to believe that they wouldn’t fall out. But, honestly I didn’t think they’d work. I have tried them on a few runs of six miles our less. I put them in my ears and set out for my run. By mile one, I was starting to get sweaty and I could feel the puddle in my ears starting to fill up. They honestly stayed in place. The sound was clear and there was no movement on their own. The left ear never moved and the right ear moved slightly a few times on my first run with the Yurbuds. This was only because I’m not use to running with headphones and would accidentally tug or rub on the cord, causing the headphone to move. I adjusted accordingly and it wasn’t a problem. The Yurbuds never moved on their own. Even with my sweaty ears. Gotta love the pink, too! They ARE indeed quite an investment. Since I'm not typically a runner with music, I would not have made the investment on my own. But, I'm glad that I have tried them and have changed my mind about running with music ... because these were comfortable and didn't fall out, for a change. So many of you ONLY run with music (even during races). If I were one of you, I would definitely shell out the thirty bucks to try them out. It’s like a whole new world has opened up to me … running with music. I’ve ran for so long without it. It’s nice to get a little upbeat song in my head and have my feet speed up accordingly! Hey, maybe it will make me faster?! I think I will still do a lot of my runs without music, just because it is my “me time” and allows me to think, prioritize, plan ... and just be by myself. I really enjoy listening to my breathing pattern and my feet hitting the pavement. It helps me concentrate on pacing myself. But, the Yurbuds have now offered me an alternative to that … when I want something more. I look forward to having options now, thanks to Yurbuds. Enter now though Sunday, October 3. With only eleven days until Lakefront Marathon ... it's taper time! I only have one longish run of ten miles left to run this weekend. The rest of my runs scheduled are easy-peasy. It's interesting how I've gained about seven pounds during this training cycle. I have not been as disciplined with my diet, despite running more miles than ever to get ready for this marathon. I was running 5-6 (usually six) days every week and logging over 150 miles every month. Still, I gained weight. Just how many calories was I actually consuming these past few months? However, ever since I started tapering after that twenty miler a week and a half ago, I finally saw my body changing. And, so has everyone else. I've had so many people comment on my "weight loss" and change in body shape. However, I'm not. I'm noticing my waist is a bit slender and I'm comfortable wearing belted shirts again. My pants are a bit looser in the back and in the legs. And, now I'm proud to wear running skirts around the neighborhood, and am not embarrased about how they snug my tooshie and hips. Still, my weight is up from before. However, just this week I've lost three pounds. After running my lowest mileage week in months. Go figure. That number on the scale just gets me. I should be more focused on that time on the clock on race day. I recently came across ShirtsThatGo (HERE). They offer tons of transportation and construction vehicle themed shirts for little boys. This means more than cars and trucks. They feature everything … fire truck t-shirts, train t-shirts, airplaine and jet t-shirts, tractor truck t-shirts, cement truck t-shirts, bulldozer t-shirts, helicopter t-shirts, motorcycle t-shirts … and even garbage truck t-shirts! The images on these kids t-shirts are realistic and fun. They also offer quantity discounts for families that have multiple little guys and birthday parties! Free USPS shipping on all orders, too. And, they are made in the USA. ShirtsThatGo is a family owned business that has been in operation since 2008. The shirts are soft and 100% cotton. The ink they use is a water-based eco-friendly ink. The colors are vibrant and wash well with no fading (from experience). Little Dude is a chubby 2 ½ year old and wears a size 4 comfortably. The box even arrived in an adorable vehicle-themed package. Little Dude tried out the ShirtsThatGo Jet Airplane T-Shirt (HERE). They have several jet and airplane designs. Little Dude has been obsessed with airplanes since her turned one. We live about ten minutes from the airport and he loves seeing the planes fly in and out of the area. He has to announce them and point to them as they are overhead. For his second birthday we even converted his bedroom to an airplane theme, so that he can be surrounded by them at night, too. This ShirtsThatGo t-shirt was perfect. The airplane shirt is inspired by our awe and love of air travel. When toddlers and kids go on their first trip by air for the first time or to an airport observation area they love it right away. Watching a huge airliner leave the ground never ceases to impress us here at Shirts that Go! and our kids sure do like it. There is a sense of adventure that comes from any trip that involves airplanes. If the airplane is a large Boeing and the distance is great then it is even more exciting. When kids see airplanes departing first it is just wow and then they start to wonder about the destination. Very cool stuff. We are trying to capture a bit of that feeling with our jet airliner t-shirt. Enter now though Thursday, Sept 30th. I love summer and hate to see it end. But, I do love fall, too. I love pumpkin shakes from Culver's, pumpkin lattes from Starbuck's and burning pumpkin pie candles in my kitchen. I am in LOVE with Honeycrisp apples ... well worth the $2.99/lb at the grocery store last week. I can't wait to head to an apple orchard with the kids next weekend and pick up some more. Fresh. I've been reading so much about Chobani greek yogurts lately. We've been indulging in it on-and-off for the past month. It's a little hefty on the wallet, but a nice treat. I love the strawberry and pomegranate flavors best. Thick and creamy. Filling, too. BTW, I picked up a set of four of these adorable dishes from Savers last week, during my thrift store run ... only $0.49 a plate! I'm a list maker. I've become even more of a list maker ever since I became a mom. Maybe we have too much going on. Maybe it's because I forget things now. Maybe it's because I get satisfaction about seeing how much I've accomplished. And, maybe sometimes I add things to my list that I've already done -- just so that I can cross off more!!! Some projects have been put off until Little Diva was back in school and the weather turned cold. I didn't want to waste our time indoors ... cleaning and organizing. Sad, but true. Little Dude loves to "help me" around the house. He also has become pretty good at entertaining himself now and playing with his toys ... or Little Diva's toys when she's not here to fight about it! I feel pretty good about what I've accomplished over the past five hours with Little Dude. The only thing left to do is ... RUN. For those that may think that we "obsessed runners" have our blinders on, to all of the other priorities in our lives ... wrong. Running made my list, but came up last on the things to be crossed off. Running is a priority, but is not always THE priority. Sometimes it is, sometimes it isn't. and a trip to the park. 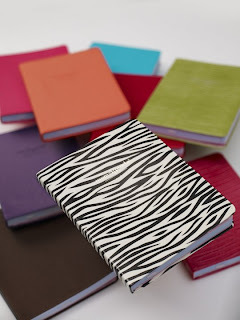 I was recently given the opportunity to review Zebra Print Desktop Planner for 2o10-2011 from momAgenda. You can read all about my fabulous experience HERE. Please visit momAgenda online HERE and start shopping. There were 168 entries in my recent giveaway. One winner was chose at random. Congratulations, Run4May!!! Please email me at ( runningdivamom at charter dot net ) with your name, email and mailing address. And, I will get you your prize! I was recently given the opportunity to review Super Food mixes and Whole Food Bars from Amazing Grass. You can read all about my fabulous experience HERE. Please visit Amazing Grass online HERE and start shopping. There were 62 entries in my recent giveaway. One winner was chose at random. Congratulations, Track Coach ... and Adorable Wife!!! Please email me at ( runningdivamom at charter dot net ) with your name, email and mailing address. And, I will get you your prize! I'm exactly two weeks away from marathon #3. I can't believe it. I feel ready and I feel not-so-ready. I have a lot of miles under my belt this year and already ran a full marathon earlier this year. I believe I have been marathon training since January. I finished one marathon on May 30th and then started marathon training again mid-June. I had twelve miles on my schedule for today and another ten miler next Sunday. Hubby also is running this marathon with me, so he has a similar plan. He finished his two hour run this morning. I planned to set out after lunch. I started heading out the door around 2pm this afternoon. Little Diva and Little Dude saw me get my running shoes and Bondi Band on. Both were disappointed that our treadmill is still broken and that I wouldn't be running downstairs. Not that I would WANT to run 12 miles downstairs ... unless there was a foot of snow on the ground. Little Diva insisted that she could run 12 miles with me. When I explained that I would not be back until dinner time and that this was equivalent to four Hannah Montana episodes, she still insisted on joining me. Not being a mama that wants to deny her daughter of some bonding time and a good run, I let her go grab her running shoes. She and I dressed appropriate. There was a chill in the air and a high of 60 degrees. Definitely cool for or slow run/walk pace this afternoon. We finished about 3 miles (2/3 of it walking) in about 45 minutes. We returned home and it was starting to sprinkle. I used the restroom and grabbed my handheld waterbottle. This was my first run in a loooong time in a long-sleeve technical top. I also wore my pink Recovery Socks to keep my legs warm. I zig-zagged through my neighborhood and felt grat. I had my new pair of Brooks Adrenaline's on. The bottoms of my feet ached, which was surprising. Usually new running shoes feel like fluffy little pillows under my feet. I hope that this goes away. Around mile 7, I headed out of my neighborhood and downed a Honey Stinger Energy Gel (Gold flavor). I picked it up in my purchase at Fleet Feet yesterday. All I can say is YUMMY! That stuff was fantastic and I want to go buy more. If you like honey, you need to try this. It was heaven. It was REALLY sweet, so it may be overpowering for some. This is right up there with my favorite GU flavors (mint chocolate and orange vanilla). I never felt sluggish the entire run and finished my entire bottle of water. I headed from bike path to bike path and only had to run on a country road for about 3/4 mile (a very busy road). Twelve more miles down. Two weeks to go. My old pair of Brooks Adrenaline's had approximtatly 900 miles! Ooops! I should have visited the running store a month or two ago. Look at how beat up these babies were. I think you could see me a mile away in my new kicks. No reflective accessories needed!! I love being a mama (most of the time!) and am obsessed with my running (most of the time!). Since hubby is not home today and our treadmill is still broken, I still haven't gotten my run in today!!! I love to hit thrift stores. I visited my local Savers and got all of this for less than $15. A running skirt for Little Diva, an sports bra and to wicking running tops. All in my size and all my style. Love it! Little Diva had a dance team clinic this morning, held by the high school dance team. Little Dude and I ran some errands and then picked up Little Diva after her camp. That girl loves to perform! She sported her new running skirt and her rainbow knee high socks from Pride Socks (HERE). Lots and lots of comments on those socks today!! I can't wait to see her perform their routine at the football game, to "Baby" by Justin Beiber. Now, I have had that song in my head all day. The kids and I headed towards the other side of town to the running store. I knew that there was a McDonald's in the area that we hadn't visited before. They also had a nice play area, including one for toddlers. I love the excitement on their faces when we go somewhere new. The way they run towards the play area, ready to play for hours. Even if it's the same old crappy food, it's still a new, fun experience for them. It keeps things exciting. I also love that since I've discovered so many new parks, places and picnic spots on my long runs ... I often take the kids somewhere new. Today, when we showed up at this McDonald's (about 15 miles from our house), Little Diva asked ... "How did you know about this place?! Do you run over here?!". The kids and I headed over to Fleet Feet Sports in Madison (HERE). I had received a call that my new pairs of Brooks Adrenalines had arrived. I had stopped by last week, during Ironman, and they were out of my big size 10's. They had a nice kids play area and table to entertain the kids while I shopped. Little Diva also enjoyed looking over the assortment of Sweaty Bands! I was able to try on an adorable running skirt that was 50% off and I got it for only $30!! I also loaded up on some energy gels and bars. I was able to use my $15 off coupon from the Running Diva Mom bloggers meet up last month -- yeah! Still a hefty bill when I checked out ... but cheap considering it all came from a running store!! I loaded up on some old favorites and some new items that I wanted to try, including Bonk Breaker Bars in (chocolate peanut butter and also PB&J), and Accel-Gels. I can't wait to try some of these on my long runs and at my marathon ... in two weeks!! On the way back home, the kids and I stopped at Bean Sprouts Cafe (HERE) in Middleton, WI. We have been there a few times before. It's always a fun experience. The kids get a kick out of the special little things they thought of when creating this cafe for children. If you're ever in the Madison area with your children -- you definitely need to check it out. And, for those of you that read this blog ... and that have been there with our kiddos ... we need to go back soon. You know who you all are!! The cafe also does birthday parties, tea parties, free story time and fun, interactive cooking classes (HERE) for children. I hope to get Little Diva over there someday for one of our mommy/daughter dates. The kids continue to get a kick out of this! I had been trying to get Little Dude to sit on the potty all day ... success!! Since our visit last year, they have also added a kitchen and grocery store to their play area. The cafe features a food menu (with entree sizes for children and adults), snacks and drinks and smoothies. The menu is available online (HERE). The prices are a little more than fast food, but totally worth the healthy options you get there and the experience. We've tried several of the items on their menu during our four trips to Bean Sprouts. We've never been disappointed. Today we tried the Pink Patootie smoothie (they gave me an extra cup with the leftovers - yum! ), chocolate milk, fruit salsa with baked cinnamon chips, and a fun chocolate cake lollipop from the bakery case. They also sell tons of organic foods, yummy baby foods (aka Baby Bites), playdate platters, and healthy sides. Do you eat out with your kids? Where can you take them and avoid a tantrum?! Running tires HIM out, too !! Running Diva Mom is now on Facebook!